Nimbus - Download Nimbus Capture! 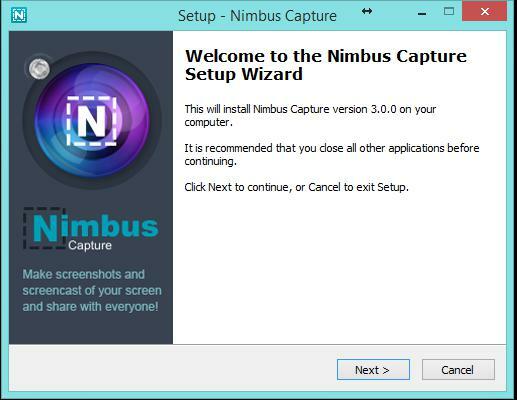 Your Nimbus Capture download should automatically start within seconds. If it doesn't, restart the download. When the install starts, click Next. Click the Nimbus Capture icon on your taskbar or desktop and start sharing screenshots and screencasts.